If you thought last year's solar eclipse was cool, wait until you see the upcoming Blood moon which is set to bring the longest lunar eclipse of the 21st century. On top of being a record-long lunar eclipse, astronomers say that Mars will also appear unusually bright making the lunar even a "great opportunity" for photographers. 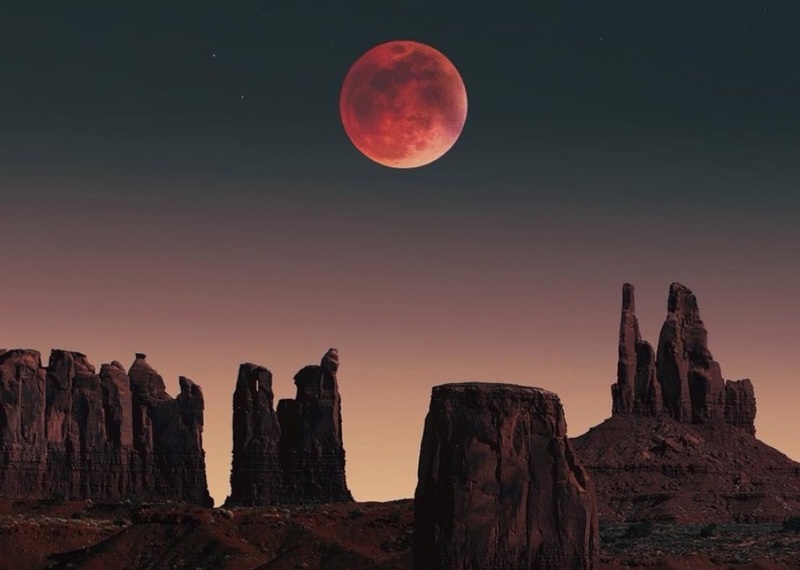 While some cultures see the Blood moon as an omen of impending doom, others such as photographers and astronomers see it as a chance of a lifetime. The longest lunar eclipse of the century is set to take place this month and just as its name implies, it will turn the moon blood red. By complete chance, the same night will present an opportunity to see Mars simultaneously appear brighter than normal. The increased brightness of Mars is a result of the planet passing its closest to Earth for 15 years. Robert Massey of the Royal Astronomical Society said, "This is great. It is a really nice and rare opportunity to seen eclipse moon next to Mars in the night sky. You’ll have two bright objects of such huge public interest…it’s a great chance for photographers." The cause of the Blood moon will be because the earth will pass between the sun and the moon putting it in the Earth's shadow. The lunar eclipse is set to last an hour and 43 minutes on July 27. The reason it will last so long is that the moon is currently at one of the furthest points of its orbit making its movement appear slower. Massey added, "If you’re going to eastern or southern Europe, you’ll get a better view. It will be higher in the sky. In America, you won’t see it at all." On a more comical note, US doomsday forecaster and pastor Paul Bigley predicts that because the eclipse will be visible from Jerusalem it will bring the end of the world. BEGLEY SAID NO SUCH THING!